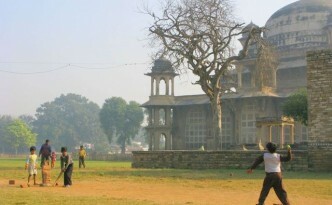 Guru Gobind Singh slept beneath this old ber tree. 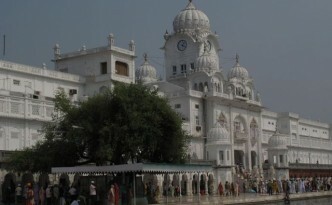 In 1854 a British engineer tried to cut down the tree to move the Gurudwara from planned irrigation works- he was suddenly blinded, the tree spurted blood, and the Gurudwara saved. 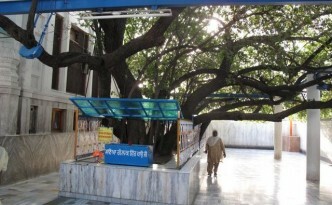 Guru Nanak Ji meditated at this tree every day for 14 years, and here this Sikh teacher attained a connection with God. 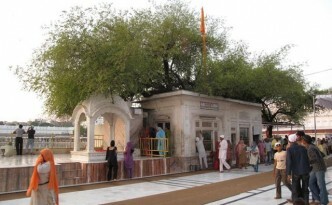 Under this tree, Guru Arjan used to sit under this tree and watch the digging of the sacred tank.When Mahitab Singh Mirankotia and Sukkha Singh arrived here to liberate the Harimandar from Masse Khan Ranghar, they fastened their horses to this jujube tree before entering the building. 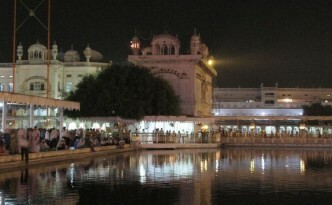 Named by Guru Ram Das, the “Eradicator of Suffering” tree is associated with the legend of Bibi Rajani whose husband was cured of leprosy by having a dip the waters of the ancient pond here. 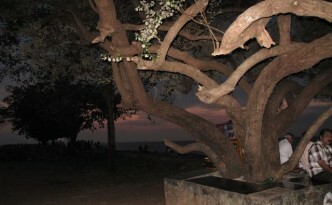 An old jujube tree where Baba Buddha, entrusted with the supervision of the digging of the tank, used to sit with digging tools for the construction of the Harimandar. 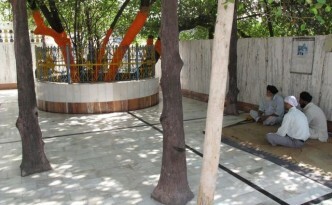 A marble platform now surrounds the tree trunk. The tomb of Tansen, a famous musician in Akhbar’s court, is marked by a now-dead jujube tree, whose leaves were said to make one’s voice sweeter and more melodious.